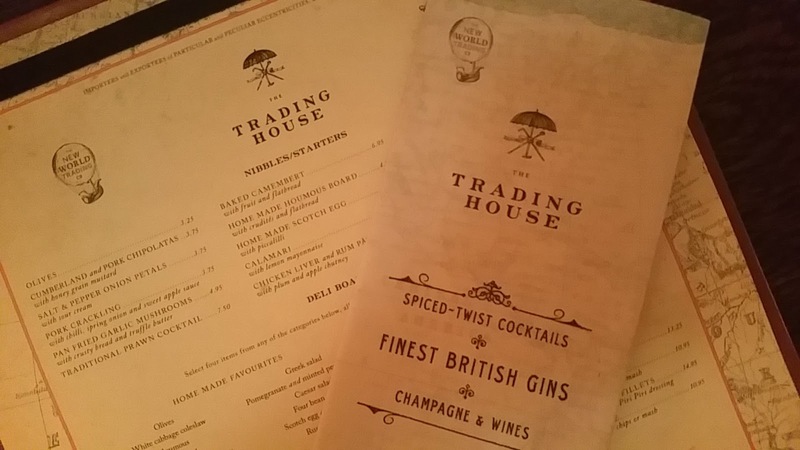 A few weeks ago, I was invited along to The Trading House, Bank, for dinner! Of course I took Andrew with which was convenient for him - he works on the next street! It was a Wednesday night and it was super busy as we walked it! Especially considering it had only been open for eight weeks at the time - pretty impressive if you ask me! I had heard many good things about their cocktails so of course we ordered some before we did anything else - the rumors are true by the way - they were good! 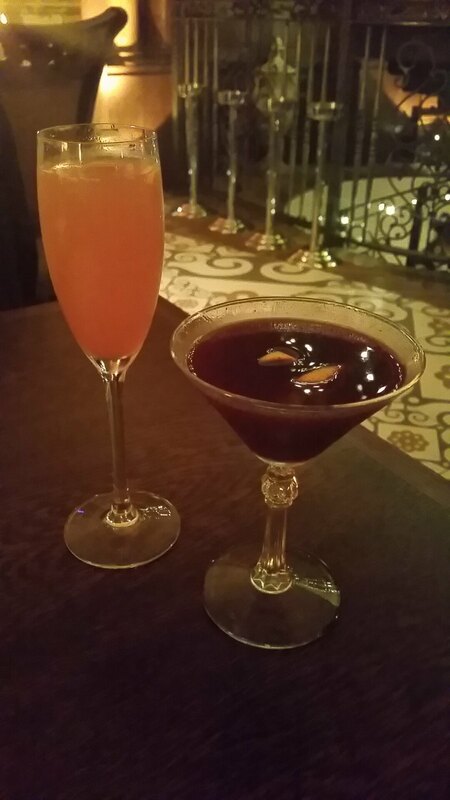 I started with a blueberry and passion fruit martini which was delicious. I was a little shocked when it turned up in a deep blue rather than orange but it was really delicious. Andrew doesn't usually like passion fruit martinis but he loved it too because the sweetness wasn't too over powering. 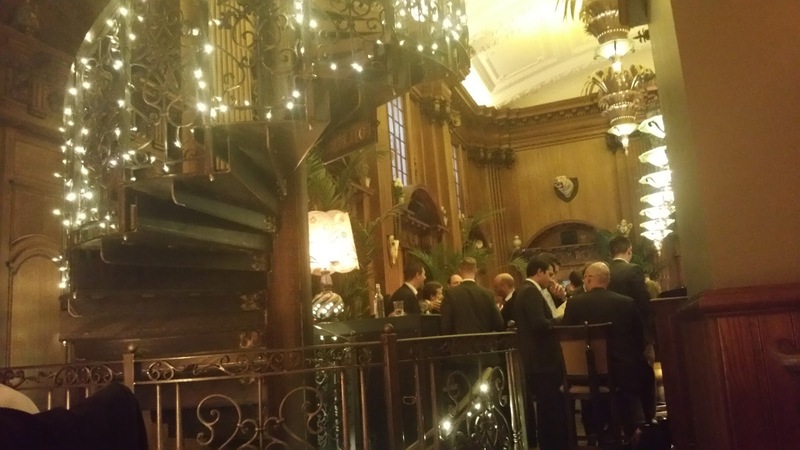 I also loved that they came in old fashioned crystal glasses to go with the decor - its actually located on the site of the former Bank of New Zealand which is a grade II listed building with lots of original details. As we sat drinking our cocktails we could smell all the amazing food around us. When it came to order I still had the smell of calamari in my head so thats what I went for as a starter whilst Andrew got deep fried chicken wings. The menu was absolutely huge and we were both surprised to find so much choice! 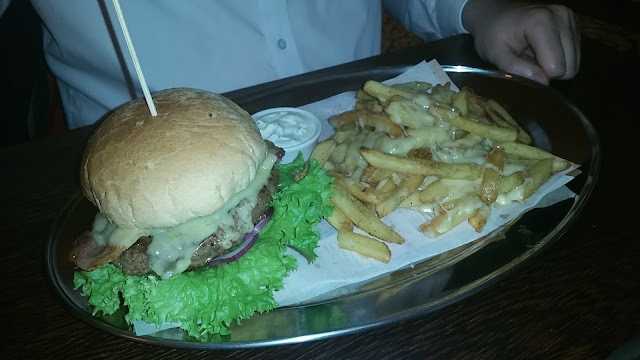 Andrew put our waiter to the test by being awkward and ordering a burger but with no tomato or pickle, cheese on his chips, oh and some bacon as well so he was very pleased when his perfectly modified burger turned up. It's always a shame with you ask to add something and they forget. 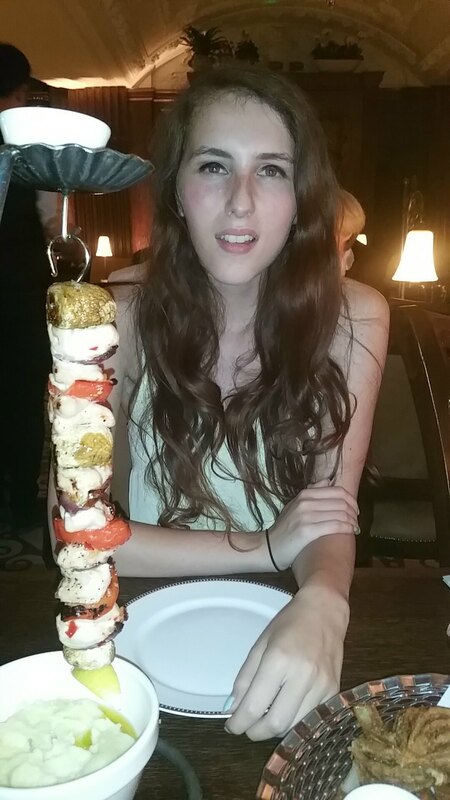 I ordered the chicken kebab because it just looked like so much fun and reminded me of when we were in Greece a few years ago. It turned up hanging on a skewer with a bowl of chips at the bottom ( I switched it for mash) and a bowl of melted garlic butter at the top which your poured down. I really enjoyed eating that! Now it was time for some more cocktails. Andrew went for an apple and blueberry Collins which he loved but I wasn't a fan of - I hate anything that tastes like ginger beer. 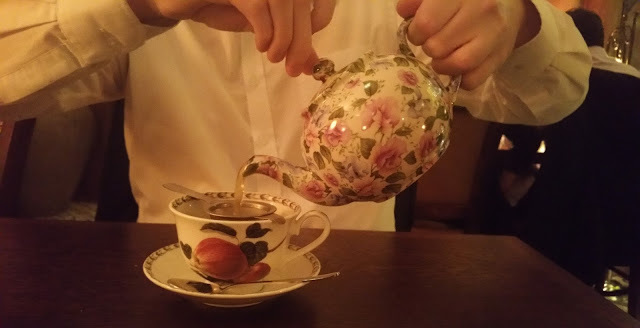 I went for an English which was prosecco, cucumber and elderflower. Definitely more my style! After our cocktails it was time to have a look at dessert. Andrew couldn't handle any more food so he just ordered a peppermint tea but I was super excited to see a trifle on the menu. Its been a long time since I've seen that on a menu anywhere! 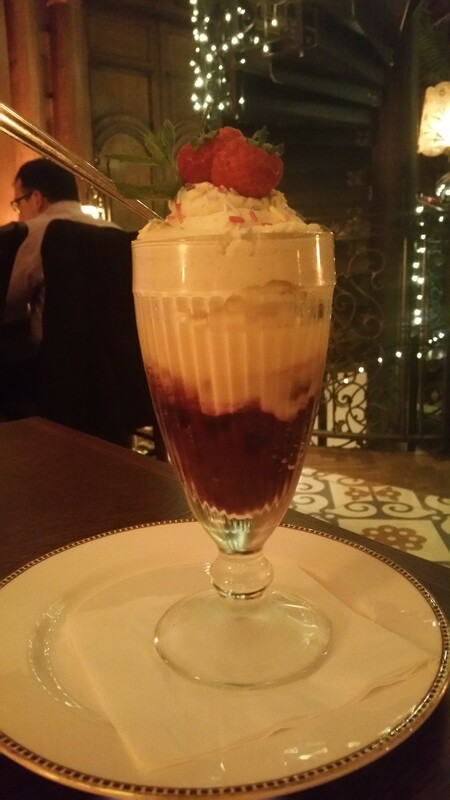 I love trifle. We both really enjoyed the food, cocktails and the whole atmosphere there and are looking forward to going back soon. 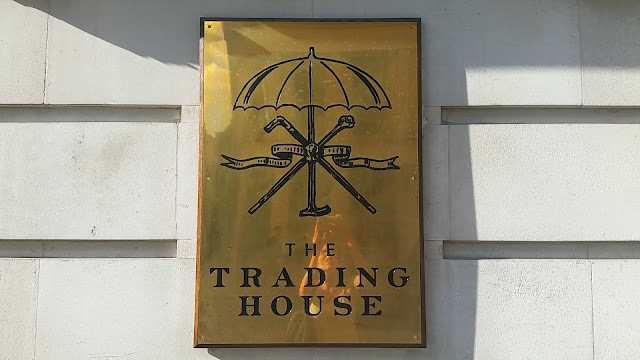 The team at the Trading House have given me 20% off to share with you guys! Just book here! Have You Been To The Trading House?